The politician believes "the meeting between Putin and Trump should become a wake-up call for the Ukrainian authorities"
KIEV, July 17. /TASS/. 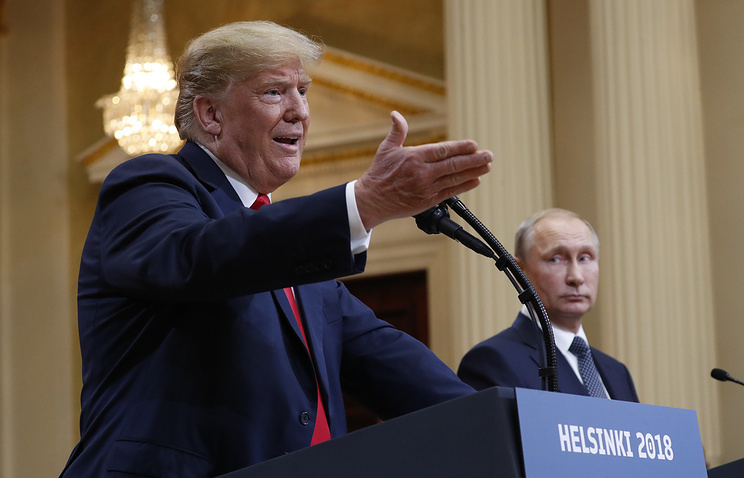 Russian President Vladimir Putin and his US counterpart Donald Trump discussed more important global issues than the Ukrainian conflict, which should be clear for the Kiev authorities, leader of the Ukrainian Choice movement Viktor Medvedchuk said on Tuesday, commenting on the Helsinki summit. "The discussion covered global matters that have very little to do with Ukraine because the leaders of the United States and Russia discussed what is interesting and important for them, their states and their policies," Medvedchuk noted. In his view, "the meeting between Putin and Trump should become a wake-up call for the Ukrainian authorities." The politician explained that Kiev needed to understand that it was to find a peaceful solution to the conflict itself, as well as to resolve political and economic problems. "It has become clear that given the interests of Brussels and Washington, no one will be willing to fulfill Kiev’s wishes. Ukraine needs to understand and accept that because other countries understood that long ago and have been acting accordingly, based on their own interests and capabilities," Medvedchuk said. He was confident that the United States would not advocate Kiev’s interests concerning the conflict in the country’s east and economic issues, including gas transit and the use of the Ukrainian gas pipeline system after January 1, 2020. "The US position on the implementation of the Minsk Agreements remains unchanged - these agreements must be fulfilled and their implementation depends not on the United States who is not going to interfere, but on direct talks between Kiev, Lugansk, Donetsk and Moscow. 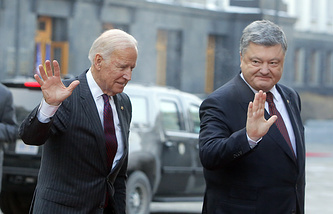 Both the US and Russia understand that the US should not support Kiev’s exaggerated claims," the politician said. According to Medvedchuk, as far as resolving the Donbass issue goes, Putin and Trump reached full agreement "because when the Russian president said that the United States could insist more on a faithful implementation of the Minsk Agreements, the US president did not object." As for the Nord Stream 2 project, Medvedchuk said that "the US president made it clear that the United States would compete with Russia on the market using economic tools instead of political measures." "It means that the Nord Stream 2 project is in no danger. As a result, risks are increasing for the Ukrainian gas transit. Putin’s response was unequivocal: the transit will go on if Gazprom and Naftogaz resolve their dispute in the Arbitration Institute of the Stockholm Chamber of Commerce," Medvedchuk said, adding that he believed setting up a gas consortium involving Ukraine, Russia and EU member states would help solve the gas issue. "This is the only way to maintain gas transit and benefit from Ukraine’s transit resources," he stressed.